Almost one in seven children – a total of 300 million – live in areas with extreme air pollution, according to a report by UNICEF. That means that they are breathing air that exceeds international limits by at least six times. This map shows where the problem is worst. 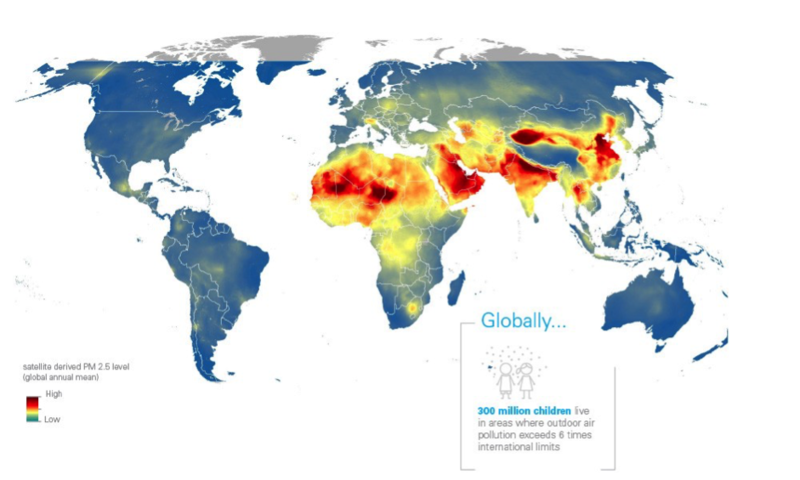 UNICEF used satellite imagery to show, for the first time, how many children are exposed to outdoor pollution, and where they live across the globe. The darkest areas indicate the places where outdoor air quality is regularly thought to be poor. The pollution is caused by various factors, although car exhaust emissions and burning rubbish are among the most common. Often the worst affected are children who are already at a disadvantage. Globally, air pollution affects children in low- and middle-income countries the most. UNICEF also said that 2 billion children live in areas where outdoor air pollution exceeds limits that are considered safe for human health. Children across the world are not only exposed to outdoor pollution, but to indoor pollution as well. 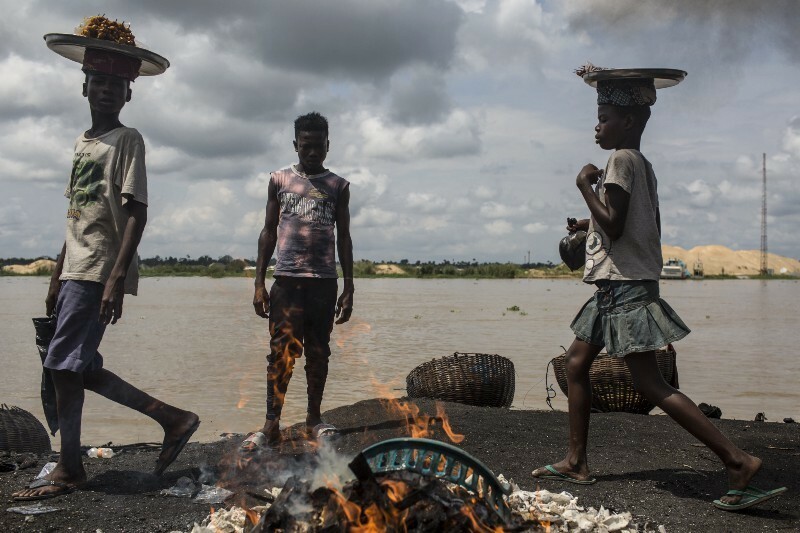 Burning coal or wood for cooking and heating in poorly ventilated homes exposes children to fumes. This is more common in lower-income, rural areas, due to a lack of access to other forms of energy. A little over 80% of rural households in India use biomass fuel, for instance, because it is relatively inexpensive and readily available. Outdoor air pollution tends to be worse in lower-income, urban communities. Factories and industrial activity are more common near lower-income areas, and there is often less capacity to manage waste. This can result in burning, including of plastics, rubber and electronics, creating highly toxic air which is dangerous to breathe. Toxic air is known to contribute to many health problems. Together, outdoor and indoor air pollution are directly linked to pneumonia and other respiratory diseases that account for almost one in 10 under-five deaths, making air pollution one of the leading dangers to children’s health. While adults and children alike are exposed to the toxic air, it’s much more dangerous for children. “Children breathe twice as quickly as adults, and take in more air relative to their body weight. Their respiratory tracts are more permeable and thus more vulnerable. Their immune systems are weaker. Their brains are still developing,” explains the report. “We must all work to meet global air quality guidelines to enhance the safety and wellbeing of children. To achieve this, we need to cut back on fossil fuel combustion and invest in energy efficiency and renewable energy sources,” it concludes.